Technically, today’s post is about roasting, not baking – but since it involves an oven, let’s not get picky. On the grounds of the complex where I work, there are fruit trees, and every so often there’s a “help yourself” box of fruit, gathered from the grounds. 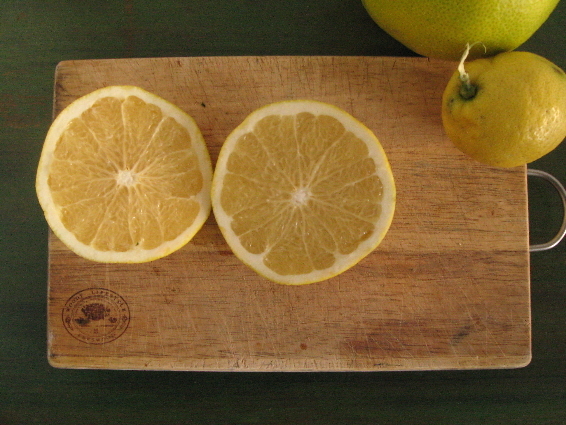 The other day, I took a couple of lemons and a few grapefruit. 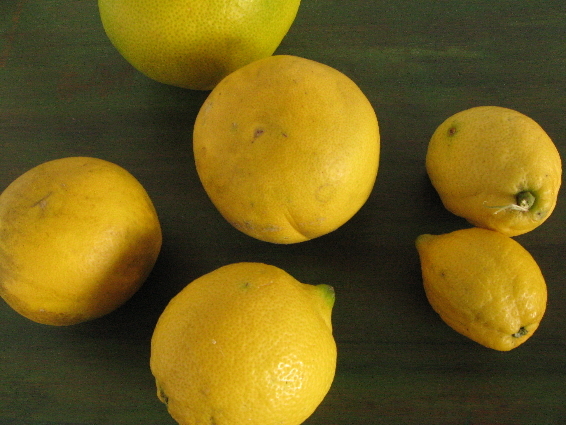 Now the lemons will be used for all sorts of things, but grapefruits aren’t something I eat often. In fact, I think I’ve had one ruby grapefruit in the past several years, and it could be a decade since I’ve had a standard grapefruit. So what to do with the grapefruit? 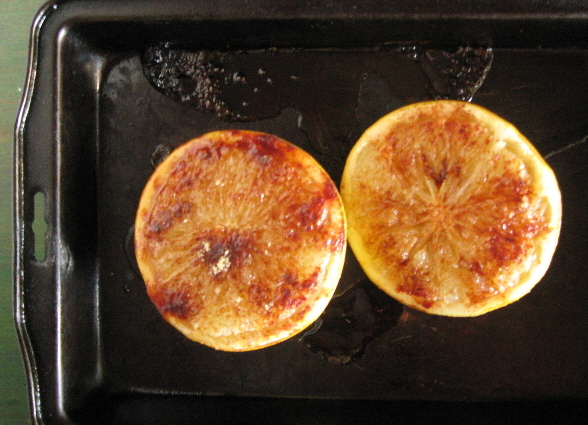 Aside from the free fruit, I had only bananas, and I felt like a fruity breakfast, so I tried roasting a grapefruit. With the oven heating to 200C, I cut the fruit in half, and then ran the knife around each half, between the flesh and the pith. 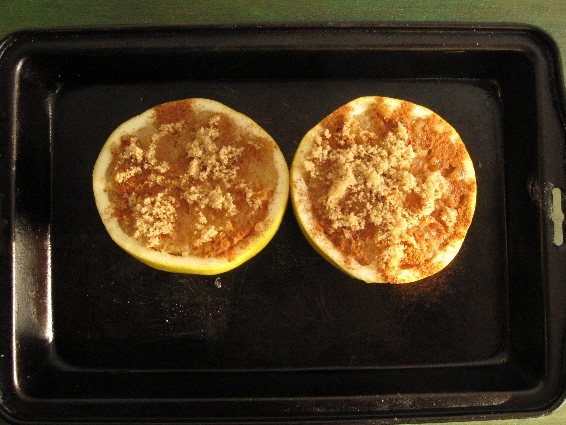 In theory, cutting down into each segment also makes it much easier to get the flesh out after cooking. To test if it was worth the effort, I did that with one half, but not the other. I sprinkled over 1/4 teas of cinnamon and 1 tablespoon of brown sugar, and then roasted for 20 minutes. I think a little more generosity with the sugar – and perhaps a dob or two of butter – would have been a good thing. 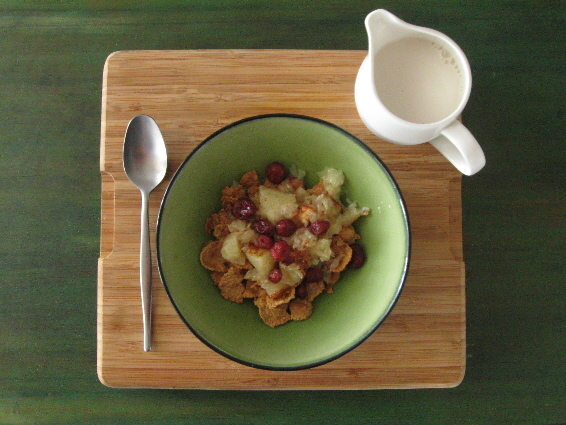 The grapefruit was still rather tart, so I gave up on the idea of eating it as is, and instead scooped out the flesh – which had gone nicely soft – and ate it with cereal and some sweetened dried cranberries.